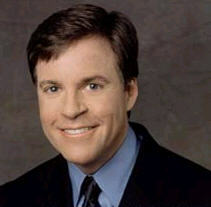 February 11, 2014 - For the first time since 1998, Bob Costas, veteran NBC sportscaster and ASA Advisory Board member, will not be serving as the prime-time host of the Olympic Games. A serious eye infection has forced the 61-year-old to temporarily turn the duties over to the "Today" show’s Matt Lauer. Costas, whose first love is baseball, called into the "Today" show and used a pitching analogy to address his unfortunate situation. When the Sochi Games began last Thursday, Costas was sporting glasses due to a left eye infection. As the Games went on, it was apparent that his condition was getting worse and that the infection had spread. Both eyes were noticeably red and puffy, so much so that it became a topic of conversation on talk radio and social media platforms. With Lauer filling in for the ailing Costas, it will be the first time since Jim Nantz presided over CBS’ coverage of the 1998 Olympics from Nagano, Japan, that there has been another prime-time host for the Olympics.